The picture (centre) radiates relaxed family togetherness. 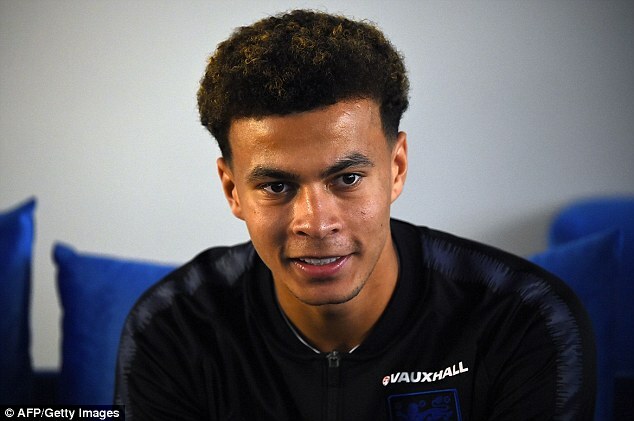 England star Dele Alli, only 22 years old and fresh from a career pinnacle, scoring for England against Sweden in the World Cup quarter-final, smiles shyly with his support team around him. These are the people he loves and trusts. Posted on Instagram by his model girlfriend Ruby Mae (pictured left with Alli), it shows Alan and Sally Hickford, a middle-class couple from Northamptonshire, and their 22-year-old son Harry with Dele. They’re all on the pitch in Russia, beaming with pride. They came with him – of course they did. They are his world, and he theirs. The family took him in when he was 13 years old after his mother Denise Alli (right) had ‘alcohol issues’ which caused him to miss practices. Pictured inset right is Dele’s father Kehinde, who he lived with for a period in Nigeria. In 2016, the player decided to drop the name Alli from his shirt. The picture radiates relaxed family togetherness. Footballer Dele Alli, only 22 years old and fresh from a career pinnacle, scoring for England against Sweden in the World Cup quarter-final, smiles shyly with his support team around him. These are the people he loves and trusts. Posted on Instagram by his model girlfriend, it shows Alan and Sally Hickford, a middle-class couple from Northamptonshire, and their 22-year-old son Harry. They’re all on the pitch in Russia, beaming with pride. They came with him — of course they did. They are his world, and he theirs. While his birth mother Denise remains on a council estate in Milton Keynes, and his father is in Houston, Texas, this brave and determined young man is with the family of his choosing, the Hickfords. Two years ago, he took the decision to drop the ‘Alli’ surname from the back of his shirt, because he felt it didn’t reflect who he is. His shirt simply bears his first name, Dele. He chooses not to talk about his family much, saying only that it is ‘complicated’. But with the country cheering him on tomorrow, perhaps this is an apposite moment to reflect on the grit and character Dele has shown to become a sporting hero. And also on the family whose support and love have played no small part in his success. So who are TEAM DELE — and how did his fractured family situation come about? Bamidele Jermaine Alli was born in April 1996 to newlywed Denise and Kehinde (known as Kenny) Alli, a Nigerian businessman. Kenny was in the UK to take a post graduate degree. The couple parted a week after Dele arrived and Kenny has moved to America and remarried. Denise, who already had two daughters by two other men, raised her family in a three bedroom council house in Bradwell, a rough part of Milton Keynes. Seven years after Dele was born, she had another child by a fourth man. Again, the relationship failed. But Dele’s life soon started to become — in his words — complicated. At some point he went to live in Nigeria with his father. His parents’ accounts differ. 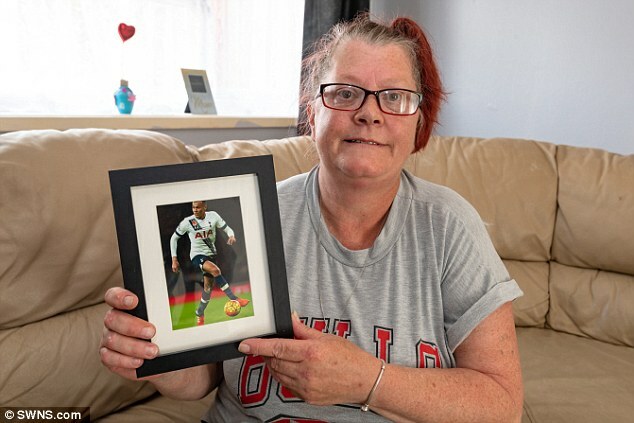 Denise has said it was when Dele was five, and he went for six months; Kenny has said Dele was nine, and lived with him two years. By 11, Dele was back in Bradwell, kicking a football about in the street. ‘There was a car park where I used to go and play with my friends, using bikes for goalposts. I think you can see that in my game. I used to watch YouTube tricks and then try them out,’ he has said. He joined the City Colts boys club in Milton Keynes, and later MK Dons, where his talent was spotted by Mike Dove, head of the youth system. Dele’s best friend at Radcliffe secondary school in Wolverton was builder’s son Harry Hickford. They bonded over their love of football and played in the same teams. But Dele’s mum Denise was struggling. By her own account in one published interview, alcohol abuse was to blame, although in a more recent interview she denies having had a drink problem. One coach recalls that things at home were so chaotic, Dele often struggled to turn up for training. By the time he was 13, a solution had been found: he moved in with Harry Hickford’s parents, Alan and Sue, in the middle-class suburb of Cosgrove, Northamptonshire, six miles from his mother. The arrangement started when Dele began going for tea after training three days a week, then he started staying over. Soon he was spending five days a week, visiting home just once a month, or less. Denise, now working as a cleaner, said it was a painful decision to let him go — but the right one. ‘I had to let him go to give him a better future. Emotionally it was heartbreaking, but it was the right thing to do. ‘It was my decision to let Dele live with another family. I knew it was the only way he could fulfil his dream of becoming a professional footballer. It was tough to give up my son — but it’s turned out to be his salvation. Dele agrees, saying in an interview: ‘I got into the wrong crowd from an early age. Football was a great distraction from the path I was heading down. He has not seen either of his parents since he signed for Tottenham, for £5 million, in 2015. This week, Denise was again complaining about the rift between them, and talking about having watched the England match at home. Any attempts to see her son have been rebuffed, she said. 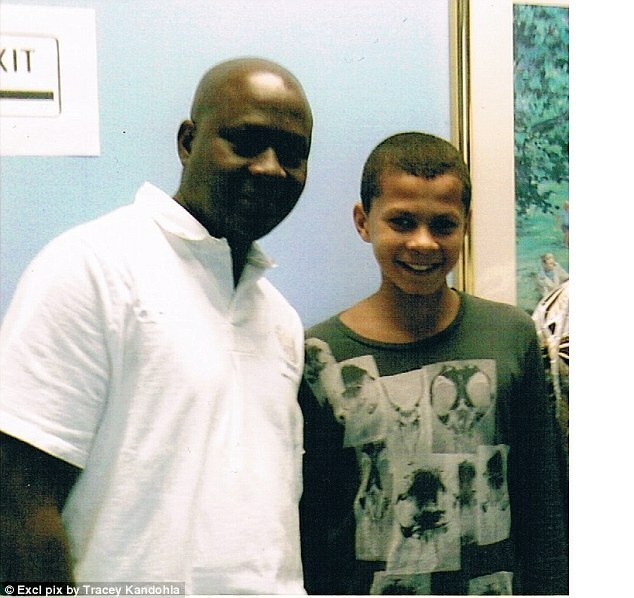 Dele’s father has flown to the UK to try to see his son, but also without success. He said: ‘Not being able to see or speak to him hurts a lot. Dele has some contact with his two half-sisters, Barbara and Becky. Sources indicate that he has been generous to his family financially but felt that he needed to cut the cord. Instead he has forged ever-closer links with the Hickfords. Until recently he lived in the family home, a five-bedroom house in a rural setting outside Milton Keynes which is now worth £1,050,000. In 2015, when he scored his first international goal in a friendly against France at Wembley, the Hickfords took him to McDonalds for an ice cream. 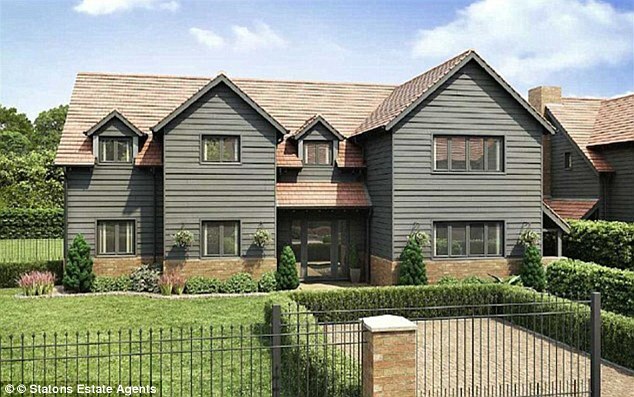 Harry Hickford, whom Dele calls his ‘brother’, is now his manager and lives with him in a four bedroom £2.25 million new-build on a gated community in Hertfordshire. Meanwhile, Alan is a director of Dele Alli Promotions Limited, set up to receive Dele’s earnings from sponsorship. It last filed accounts in August 2017, showing a company with more than £1 million in assets, leaping up from £247,000 the previous year. Dele Alli owns 50 shares, and Alan and Sally Hickford have 25 each. Alan is successful in his own right. He is the director of four companies. He is now being linked with a move to Real Madrid, who are reportedly offering £50 million. It is said Spurs have responded by offering him a £100,000 a week. Meanwhile, Dele’s tastes and hobbies are much like those of other young footballers. He loves Nando’s chicken and video games and drives the usual over-the-top blacked-out Bentley. He also has the requisite model girlfriend, 23-year-old Manchester-based Ruby Mae. And, like many other sportsmen, he is superstitious, still wearing the same shin pads he had as an 11-year-old, and always doing his right leg first, then his left. A fight he is winning — with a loving family cheering him on.